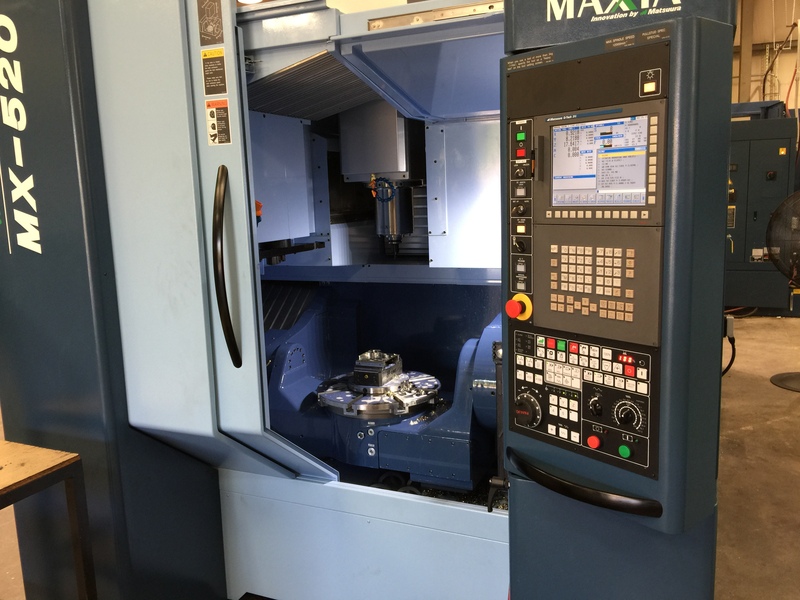 04/28/15 – All CS-6v2 (SS and Brass), CS-12v2, and CS-18v2 parts are currently being machined, which roughly takes 8wks. After machining, the bodies will all be bead blasted before being grained. We are currently expecting all of the combination squares to be ready in mid-July. 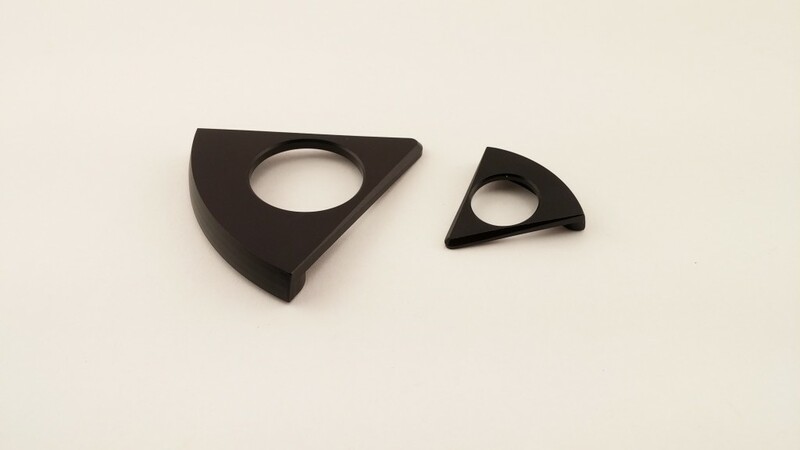 05/21/15 – All of the inserts (the black parts in the picture) for the CS-6v2s, CS-12v2s, and CS-18v2s have been machined and are currently at the anodizers. The bodies and turned parts are still being machined. The turned parts are finishing up, and the bodies are still being machined as well. 06/29/15 – At the beginning of June, our contractor that is machining the CS-6v2, 12v2, and 18v2 bodies informed us that our job would be pushed out due to an emergency repair part request from Boeing. I notified another contractor, who said they could take on the job and have them done in time for us to stay on schedule. They just notified me last week that the part is actually too complicated for them to machine after all. Unfortunately, it is now too late for anyone else to start the bodies and finish them sooner than the original contractor. Due to this delay, they have just started machining the brass CS-6v2 bodies. We apologize for the delay and will continue to keep you updated as more of our parts are back on the shop floor. 07/23/15 – The CS bodies are back in production. They are very complicated parts, but the machinists are working hard to catch up. The CS-6v2 brass bodies have all been machined, and the stainless steel CS-6v2, 12v2, and 18v2 bodies will begin machining next week. Work will begin on the 12v2 and 18v2 bodies once all of the CS-6v2 bodies are finished. 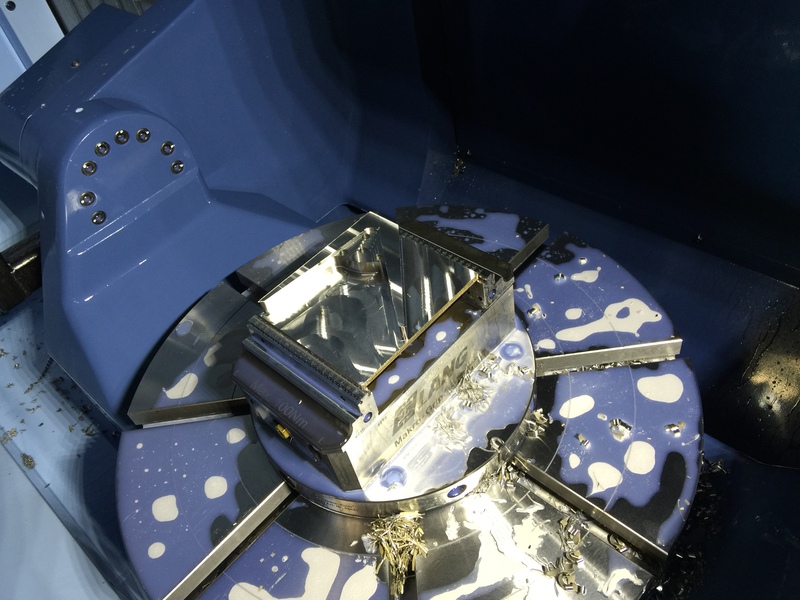 08/07/15 – Machining on the stainless steel CS-6v2 bodies is going well and should be wrapping up next week. If all goes according to plan, machining the CS-12v2 and 18v2 bodies will begin next week as well. Here is a closer view of the CS-12v2 body. 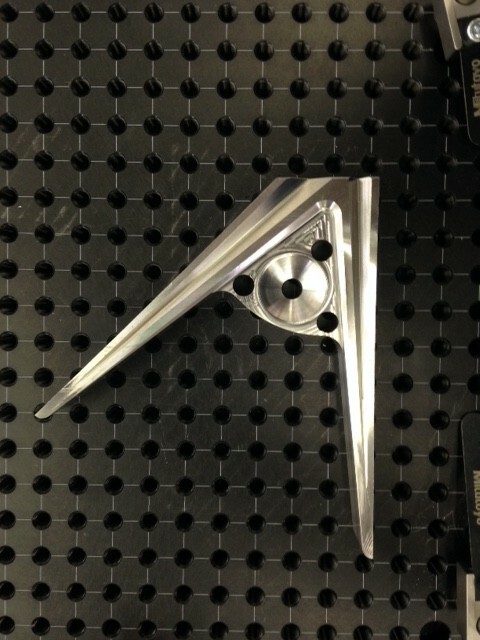 This is the first step of the machining process, where a rough outline of the tool is machined from a block of stainless steel. The part’s smaller details will be milled out after the excess material has been cleared away. 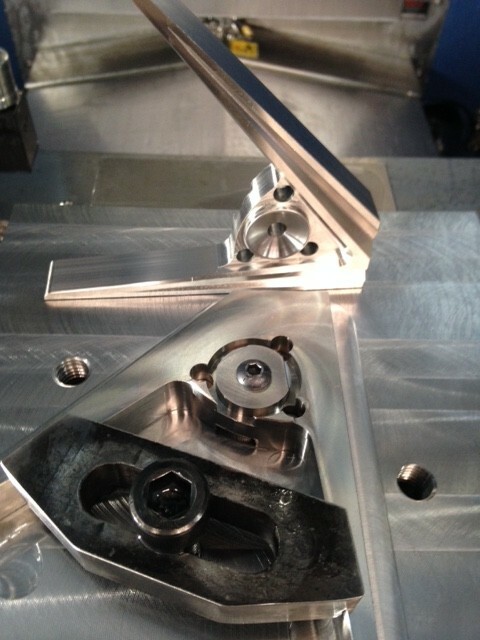 Machining is going as fast as possible, and the CS-12v2 and 18v2 bodies will hopefully be done by the end of the week. 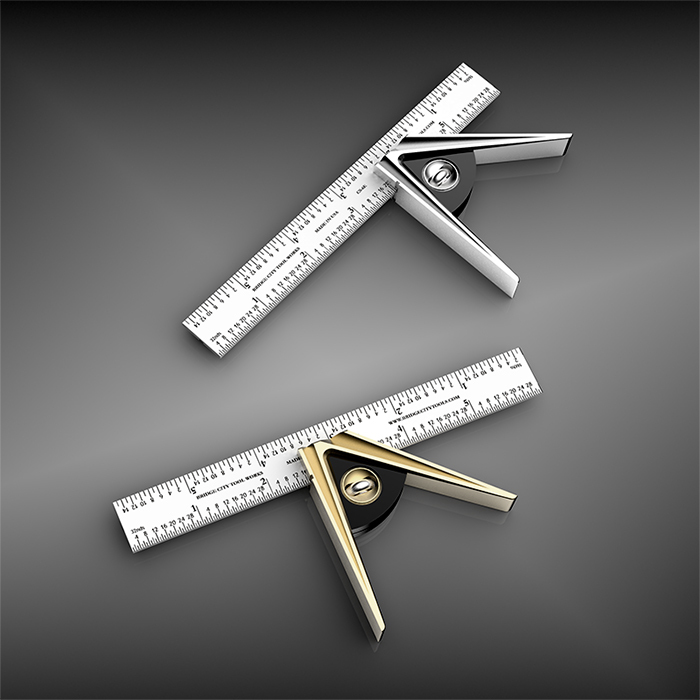 Only two machining operations remain on the CS-12v2 and 18v2 bodies: the slot for the lock knob, and the slot for the blade. 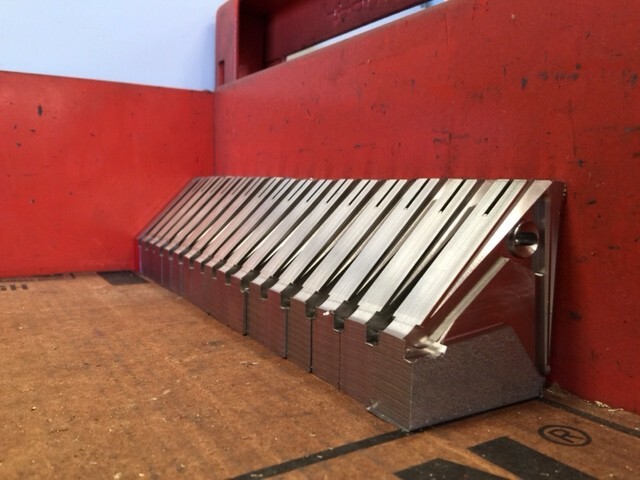 These slots were proving more difficult to mill than those of the CS-6v2s, so the bodies were sent to be wire cut at an EDM (Electrical Discharge Machining) facility. We are told this will delay them by 1-2 weeks, but they are working overtime to have them to bead blasting ASAP. 09/25/15 – Machining on the long-awaited CS-12v2 and 18v2 bodies has completed, and they shipped to the metal finishers yesterday. All of the CS-6v2, 12v2, and 18v2 bodies will be bead blasted, then the stainless steel bodies will be passivated. Passivation is a process that greatly increases the corrosion resistance of stainless steel. Surface contaminates acquired during machining are dissolved while a clear, protective layer is deposited over the entire part. These processes take about a week to complete; final assembly will begin the following week. 10/02/15 – All of the CS bodies are currently at the bead blasters. Final assembly will begin as soon as we receive them, which should be the end of next week. You’ll notice that the CS-6v2s are missing their lock wheels. They also arrived this week, but they were out of spec and would not fit in the CS-6v2 body slots. This is a minor delay, but they are currently being corrected. We expect the corrected lock wheels to arrive on Monday, allowing us to finish up assembling all of the combination squares next week. 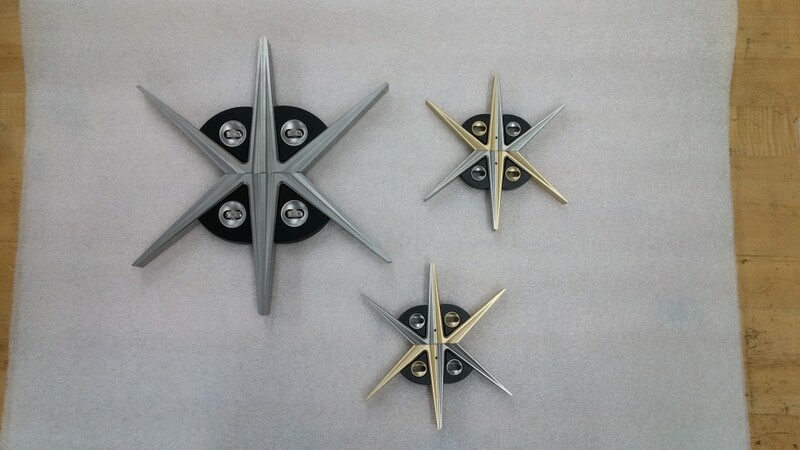 10/19/15 – The CS-6v2 lock wheels arrived and fit perfectly. All of the CS-6v2, 12v2, and 18v2 Combination Squares have now been assembled; pre-orders will begin processing this week and shipping next week. 11/30/15 – We have exhausted all of the CS-12v2 and 18v2 units from the production run and do not have any extra units. If you pre-ordered the CS-6v2 and have not checked your email, be sure to look for a notice regarding your square. We hope to go down the waitlist for the CS-6v2s at the end of December. You know, after seeing the almost completed stainless steel bodies, I was wondering if there was any way to put up a video of showing how these are machined. At the least, maybe put up some more pictures of the process. I was just wondering how they mill these bodies, I find it quite fascinating. I just emailed our CNC house and asked for some cell phone footage, so we will see. They are under the spindle as I type. If we do get footage, it will be posted on the Production Update page. I like these pictures. Keep em’ coming, if at all possible. Excellent videos! Thanks so much for posting them, Ryan!